Ober Gatlinburg starts its 2018 winter season on Friday, November 16, 2018 with the freestyle Rail Jam, followed by Snow Tubing opening on Saturday, November 17. The advanced skier freestyle evening event known as Back in Blue Rail Jam, kicks off the winter sports season, even as the area is still ablaze with amazing fall colors, in this very late leaf-turning season. In the Rail Jam, participants will be entered in a drawing for a prize, and the contest for showing off your ski and board moves – and just to practice – is from 6pm to 8pm. This is a great event simply to spectate, with vendors, food and on-snow entertainment. It’s too early yet to open the ski resort’s Terrain Park, but this kickoff party celebrates the Tubing Park, where they’ve been making a huge amount of snow and setting the rails and grooming for this event. The regular slope-side party that happens after the event is moving indoors this year, to Ober’s Seasons restaurant, and includes a big-screen showing of ski films. It will be a fun party. Just head on up to Ober Gatlinburg by road or Tramway to participate, and check the Facebook page for more info. Did we say this event starts the season? That’s right, it happens in stages. The ski season itself is unpredictable – Mother Nature calls that one – but the slopes usually start opening in mid-December. However, one event that happens pretty regularly is the Snow Tubing. The tubing area opens on Saturday, November 17, 2018 – and this year will extend through March 30, 2019. Snow tubing at Ober has become a reliable indicator that Thanksgiving is coming, and the crews always try to open Snow Tubing for Thanksgiving and stay open through Easter. Tickets are available in advance online and downtown at the Tramway Mall, and same-day on the mountain – but be warned this is a hugely popular sport for locals and visitors alike so get your place ahead of time if it matters to you. 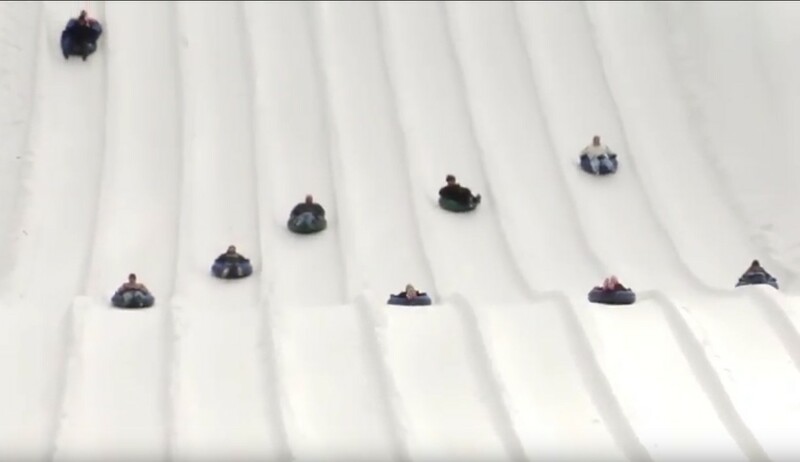 Tickets and full details are here on the Ober Gatlinburg Snow Tubing page. Did we call it a sport? It’s certainly one of the most fun things to do in winter – which is saying a lot for the Gatlinburg area – but it requires no skill, except the ability to sit down and be older than 3 years – sorry babies! Gravity does the rest on the down slope, and the outdoor escalator (the Magic Carpet) takes you back up for another run down. This all goes on until your 90 minutes are up, and you start thinking about getting another ticket! It’s winter in Smokies, at least up on the mountain. It’s still Fall down in the town, but the lights are on across the whole area. 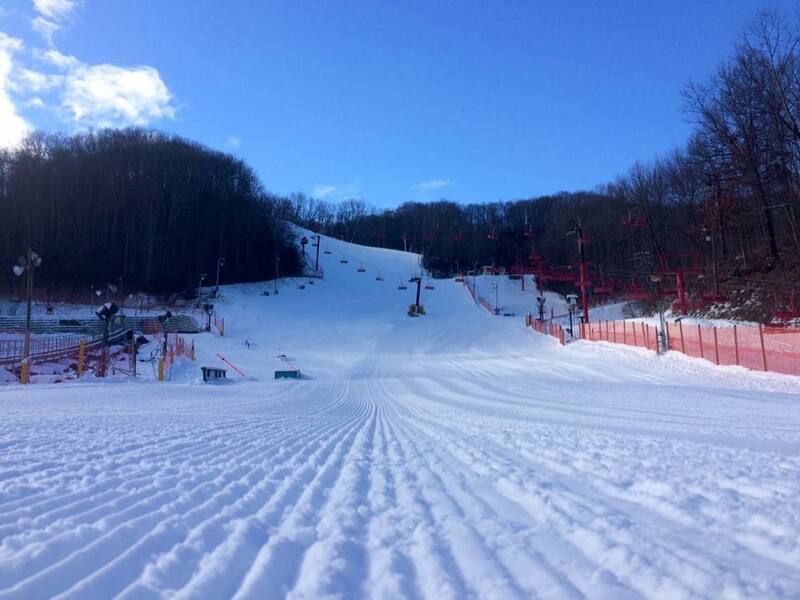 Thanksgiving is coming, and the folks at Ober Gatlinburg are most thankful that they finally get to do what they’ve been waiting for all summer. I'm a people person, and I enjoy the atmosphere that working with Cabins Of The Smoky Mountains entails, interacting with different types of people and trying to relate to each one uniquely. From Michigan originally, I've been coming to the Smoky Mountains since I was a child, with family in Wears Valley. Summer fun for me is exploring the Cades Cove area, swimming in the creeks, and hiking Mount LeConte and many other trails. I love the Smoky Mountains.